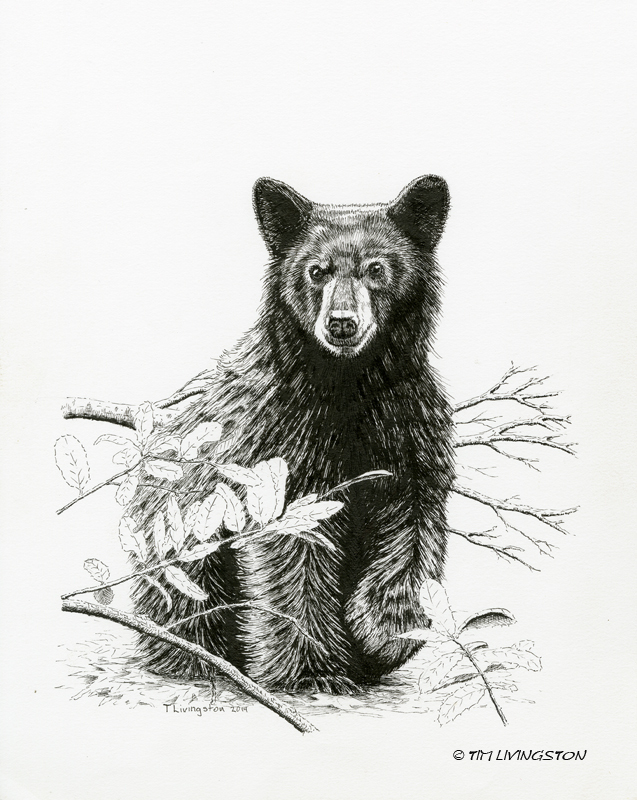 This entry was posted in Drawing, Pen and Ink, Wildlife and tagged bear, black bear, drawing, Forester Artist, nature, pen and ink, Pen drawing, photography, Ursus americanus, wildlife by foresterartist. Bookmark the permalink. I can not praise your talent enough! What a cute little bear and what a gorgeous piece of art you made of it!!! It´s just wonderful! you really captured the curiosity of the bear in your art. What a great friend to share such a wonderful gift. Thank you Ilex! Monica has been such a good friend and clerk that she probably deserve something more. Great bear story! Love the photos and your art. I especially liked the slightly raised paw. You have made some wonderful friends through your work. You are very kind to share your art as a retirement gift for Monica. Thank you Linda! Monica is first rate. I think I’m the lucky friend. What a beautiful and touching story of Monica, Tim. Wonderful drawing – you caught perfectly life and curiosity in those beautiful eyes. Awesome fur work!! 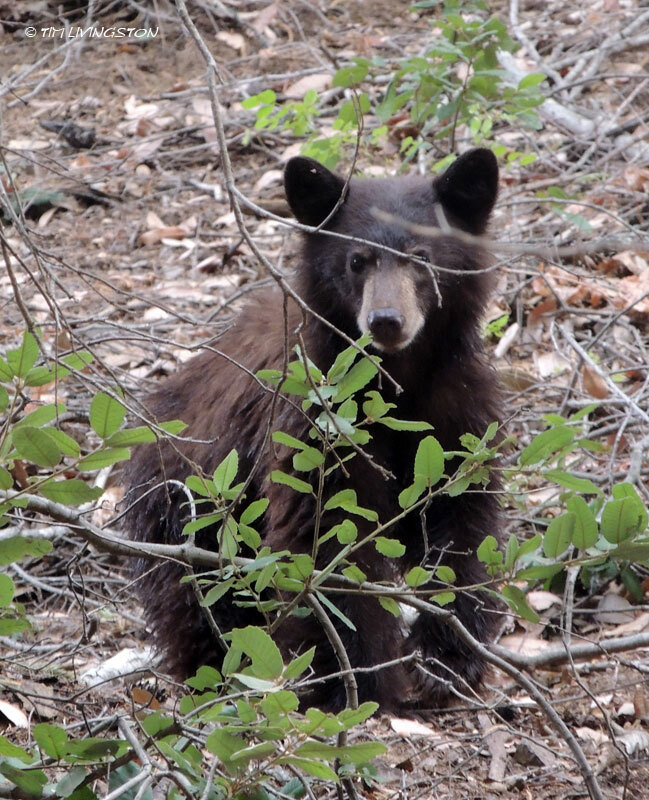 Cool bear cub ~ wonder where Mom was. Thank you so much Mary! Monica has been a pleasure to work with. I’m going to stop by and see her with the new puppy. She loves dogs. She’ll kill me if I don’t bring the puppy by! Gorgeous! You’re talent is inspirational! 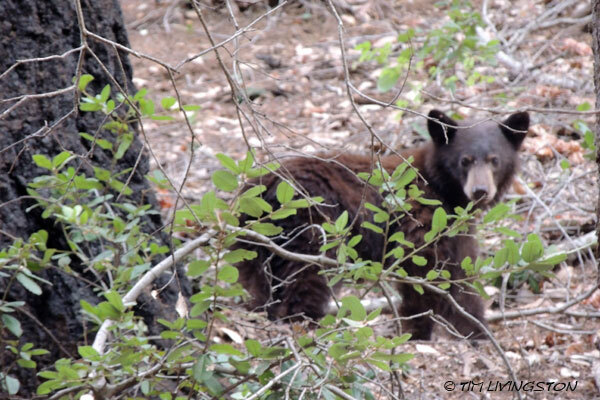 What a great story of a curious bear! Love that drawing. Its such a privilege to see animals like this in the wild isn’t it? Coming upon a bear seems like an amazing thing to me, but maybe our encounters with kangaroos and wombats seem the same to you! Your drawing captures his curiosity. Absolutely right Anna. For me, kangaroos and wombats would be totally exotic. It doesn’t matter though, I enjoy seeing the wildlife in any circumstance. Thank you Poppy! The bears are so fun to watch. This makes me want to re-read “Alaska Bear Tales”, an excellent true bear encounters book that we bought while living there. I’ll have to check that book out, Laurie. Fortunately, we don’t have to deal with Grizzlies here. The only one left in California is on the flag. The resemblance is uncanny, and I can recognize some really good technique with the very little knowledge I have. You did an amazing job bringing an animal to life here! Thank you Daniel! So glad you like it. Excellent pen and ink. Lucky Monica! Such an expressive look especially the eyes.